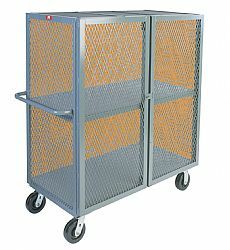 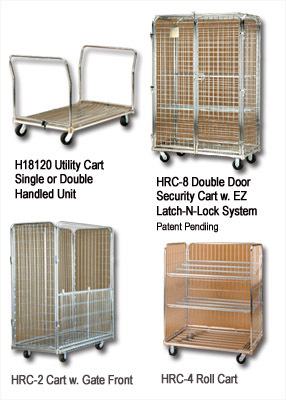 Get Free Shipping on some of our Wire Security Carts. 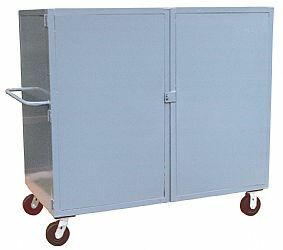 Ask us for details or look for the offer in red. 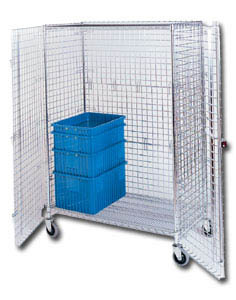 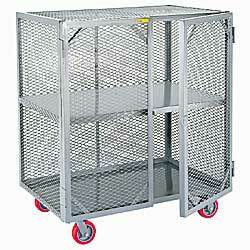 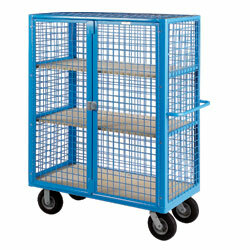 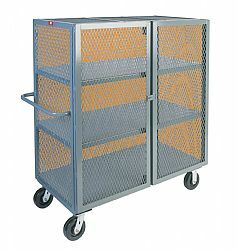 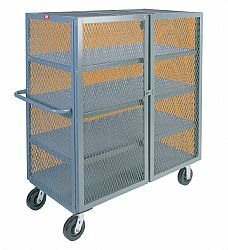 Shop for wire security carts and steel security carts at Material Handling Solutions. 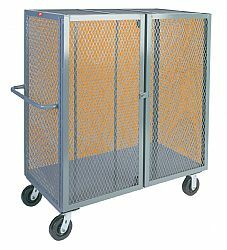 Our sturdy and versatile security carts are perfect for use in any facility that requires storage or transportation of valuable materials. 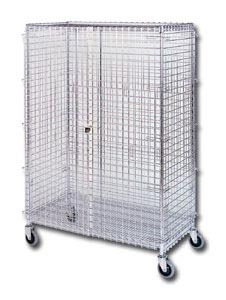 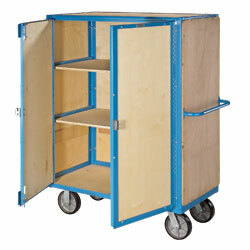 We carry both low-profile closed units and open wire security carts. 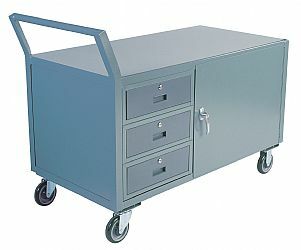 Our durable security carts are made of an all-welded construction (except for the casters) for long lasting use. 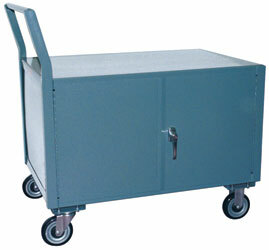 Polyurethane casters deliver easy mobility and safe handling of loads. 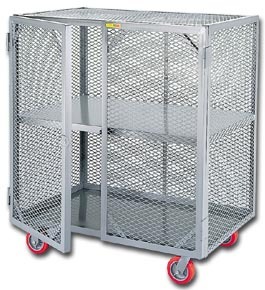 Our open wire lockable security carts help reduce shrinkage, minimizes dust accumulation and good visibility allows for fast and convenient inventory checks. 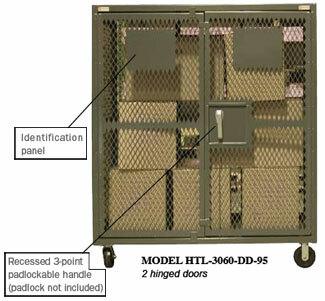 These units are ideal for securing and storing UPS packages, tools, liquors, drugs, documents etc. 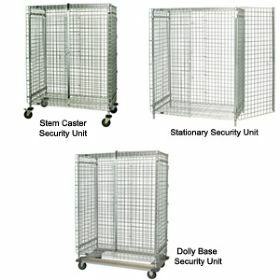 Our security carts are available in a variety of sizes and capacities and optional shelves may be added to suit your needs.